Electric vehicles (EVs) are seen as an essential part of a green and clean future, especially as our cities choke with pollution. Enter Nimesh Shah, who used data and cutting-edge tools to frame a strategic methodology for putting in place the charging infrastructure, the lack of which has been a key obstacle to large-scale adoption of EVs. Shah won the top prize at the Business Standard Best B-School Project Award 2018 for his project on mapping the availability of charging infrastructure for EVs in Bengaluru for SUN Mobility, a company that develops innovative solutions for electric mobility needs. 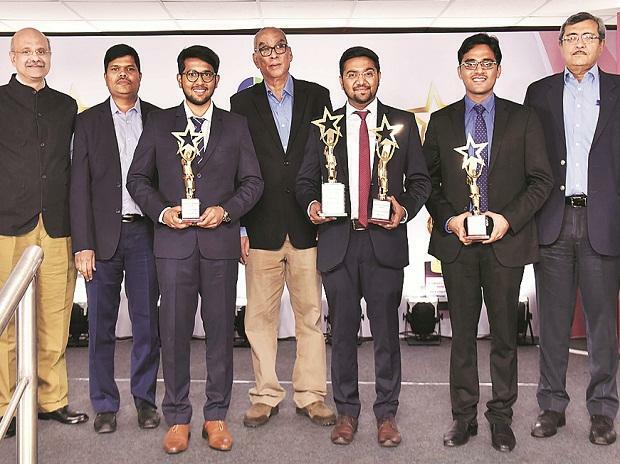 A 27-year-old final-year MBA candidate at Pandit Deendayal Petroleum University's (PDPU's) School of Petroleum Management in Gandhinagar, Shah took up the project after the Karnataka government announced a policy for 5,000 new electric-autos in Bengaluru. The project's objective was to identify locations for charging/swapping stations for these e-autos across the city, says Shah. In the end, the project identified strategic locations where such stations could be deployed. Shah's report presented a detailed assessment and framework that is scalable and replicable, and can serve as the template for a future electronic vehicle transport ecosystem across India. "In order to promote EVs, it is imperative to have charging infrastructure in place. My project provides a holistic model of deploying charging infrastructure in a city by factoring in key parameters, like the city mobility pattern, electricity tariffs and infrastructure, and partnerships that provide synergy, to deploy charging infrastructure in a way that assures higher utilisation of chargers and enables faster adoption of electric vehicles," explains Shah. "While multiple companies, public as well as private, have already given out tenders for deploying chargers, they lack a logical location selection method. Most of the time it is based on convenience of availability, which may not necessarily serve the purpose and charging stations may end up remaining idle and underutilised. My findings offer insight on tackling this proactively and making data-based decisions on selecting charging infra location," he adds. In February 2019, the government reportedly issued guidelines to set up charging stations for EVs, outlining ways to build such fuelling points every 25 km. The Union Housing and Urban Affairs Ministry had told news agencies that the government expects 25 per cent of the total vehicles on roads to be EVs by 2030, necessitating robust charging infrastructure across India. Addressing the challenges involved, Shah, who lives in the Vasai suburb of Mumbai, described the focus area of his project as an "unconventional management problem with no precedent to refer to", adding that it required "eccentric ways" to carry out the project work. Previously, Shah worked as an analyst in the IT sector and as a business development manager in lubricants marketing. The project involved evaluation of city mobility, electricity tariff and infrastructure, franchising and partnership, recognising key parameters, and forming a procedure to identify precise locations for station deployment. By using parameters such as intermediate public transport demand, electricity infrastructure network and primary research with various stakeholders, Shah's project established a "grid methodology" for deploying charging/swapping stations in the city. Shah did this by dividing the city into a grid measuring 1x1 km. All identified parameters were then converted into positive and negative indices to arrive at a cumulative score for each grid. Subsequently, the cumulative score was used to rank every grid. On the basis of their rank, Shah colour coded the grids into "core, penultimate and outer grids" -- core being the highest potential, penultimate being moderate potential and outer being low potential grids. A 'core' grid would have the highest probable utilisation rate for an EV charger. Further, it would also be the area that needs such infrastructure the most. From the government's perspective, these could be the areas for which it should give out tenders for EV chargers first, explains Shah. He worked closely with Bruhat Bangalore Mahanagara Palike (BBMP), Bangalore Regional Transport Authority (RTO) and Bangalore Electricity Supply Company (BESCOM) during the project. The project also analysed infrastructure provisioning costs, electricity tariff structures and regulatory frameworks with regard to various scenarios, along with identifying and reporting major bottlenecks and cost-intensive factors to concerned departments. Further, a tool to bring all the stakeholders on to a common platform -- city-level visualisation tool (CVT) -- along with a methodology to map the energy infrastructure was developed. Shah's CVT methodology is being used by SUN Mobility as the draft framework for deploying charging/swapping stations and mapping energy infrastructure in pilot cities. It is also being used as an internal tool to visualise a city-level approach to deploying energy infrastructure.